Audison is proud to announce a revolutionary digital audio technology for automobiles: bit Drive. Audison has a tradition of innovation; each new project making a qualitative leap in high fidelity mobile sound. Our “no-compromise” philosophy, our constant attention to new technologies and being plugged-in to rapid developments in the market have made it possible for this milestone: complete digital audio in the mobile environment. With the introduction of the brand new bit One HD, bit Ten and bit Ten D processors, Thesis, Voce and the Prima bit amplifiers, Audison has been recognized by industry leaders, specialists and moreover by enthusiasts as the “reference” in the application of digital audio technologies to achieve unheard-of sound reproduction. The Audison spirit never ceases to be innovative and continues with our latest creation: the bit Tune. 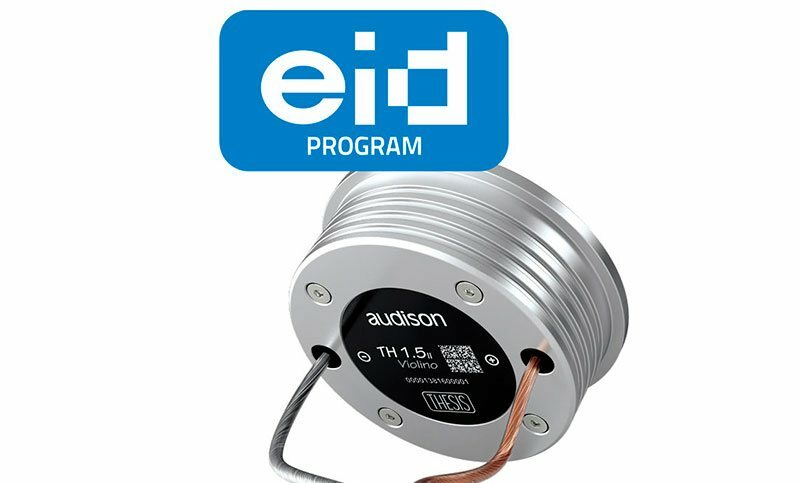 The Audison bit Tune is a revolutionary tool ensuring automatic calibration for Audison bit processors, quickly providing maximum audio performance. 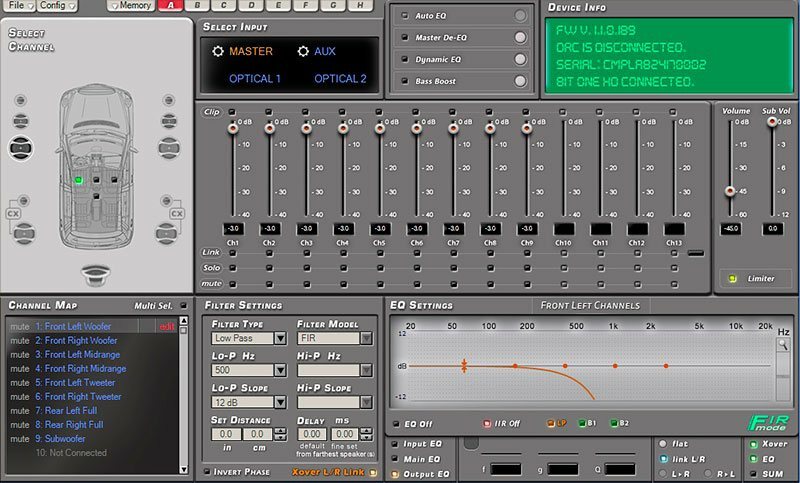 The bit Tune also includes an important set of tools useful in the everyday routine of the mobile electronics specialist, enabling the user to enhance creativity through instrumental experimentation. Audison is proud to introduce the bit Drive technology incorporated in all of its products featuring sound digital processing functions (DSP); with these products today, thanks to the bit Tune, you can implement the audio system you’ve always dreamt of: “Your Sound”. With bit Drive the Audison teams’ vision has gone beyond the product; in fact, we developed the bit Drive portal where future products with bit Drive technology can be registered. By registering your product you become part of a community where you can access information and support for all products with bit Drive technology and take advantage of exclusive materials and services! Over the past 10 years our research team has focused its efforts in the field of digital audio. Our solid experience, consolidated over many years in analog topology, also highlighted the limitations of this technology to reproduce sound in a challenging environment such as the car. 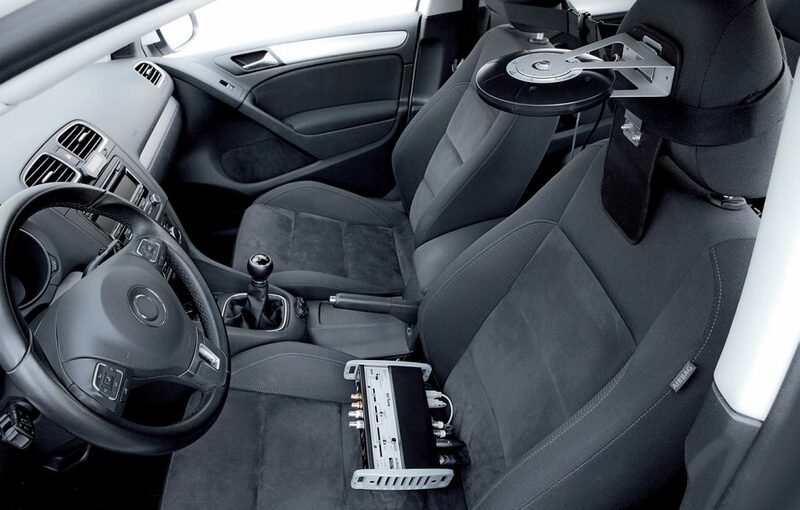 The study of digital technology is not limited to, as often happens, replicating traditional analog technology more efficiently, but primarily focuses on the new possibilities it could offer to improve the sound reproduction and ergonomic integration of car audio systems. Highly innovative product solutions were introduced, such as Audison bit processors featuring DSP, AD Link and AC Link for the transmission and management of digital signals in each channel of amplification. This “wind of change” led to the emergence of the Audison bit Drive, immediately setting new sound reproduction standards in the mobile environment. Bit tune, perfect sound has never been so easy! The Audison bit Tune is a revolutionary system of automatic calibration for Audison bit processors developed with bit Drive technology. Bit Tune also includes a multitude of additional features for electro-acoustic verification and analysis of any car audio system. The Audison team’s goal in developing the bit Tune was to speed up the setting of basic parameters for the calibration of the bit processors (time alignment, equalization, levels, etc. ), ensuring an excellent level of acoustic performance. This phase also includes the diagnosis of common “errors” (channel inversion/phase, no signal on one channel/cable, etc.) to set the specialist free from his “routine” work and allow him to focus on the art of “finetuning”. Only personal interpretation and experience can achieve what a machine could never do: create “Your Sound”! Bit Tune can be registered in the bit Drive web portal to receive a free Pro license or to obtain a Full license. By registering, you also get an account to access the bit Tune users community and exclusive content dedicated to registered users. Bit Tune can also be used to verify Audison Full DA systems. Thanks to the presence of digital optical inputs/outputs (TOSLINK), it provides the ability to read the bit rate and sampling frequency of the input signal. To describe the bit Tune and its functions, it would be easier and faster to say what is not possible to do! But this would not convey the breadth of possibilities…, so let’s progress step by step to discover all of them. 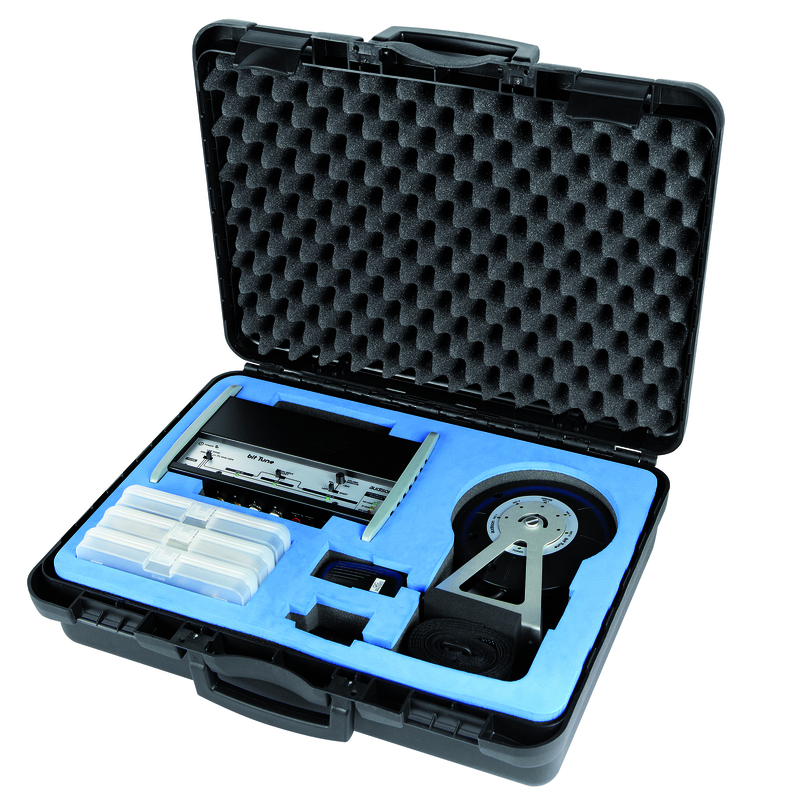 The bit Tune system comes packaged in a professional carrying case, complete with all of the accessories required for its use. This case ensures safe transportation during events or trips outside of the installation center, and properly secures all materials, such as the microphones that requiring particular attention. capsules arranged around half of its circumference. The most important design element of the HSM was to simulate the “head” of the listener from the listening position, hence the name Hearing Simulation. The simulation of human sound perception is accurate, thanks to precise design choices: the overall diameter of the disc shape approximates the distance between the two human ears; number and placement of the capsules are designed to reproduce the polar response of the human auditory system. Through the bit Drive algorithm integrated within the PC software the signals acquired by the human hearing characteristics of HSM microphone are processed, setting configuration parameters for the processor, making the response of the audio system “natural.” The unique mounting system provided places the microphone array in the perfect position. LPM – Level and Polarity Mic. This is a single-capsule microphone, used for setting system levels and for checking the acoustic phase of the speakers. “polarity check” wizard in the software. CMU – Central Measurement Unit. This is the “brains” of the system, acting as an interface between the acquired/generated data and the PC based management software. It is equipped with a set of inputs and outputs to the car audio system and USB connection to control the Audison bit processor. EMS and Speaker Load Simulator: fundamental functions for the mobile electronics specialist! noise, interferences of electronic control units, etc.). Once the “noisy” area is detected, it is possible to avoid noise by locating cables and/or devices away from the affected area. Speaker Load Simulator. In recent years some manufacturers of OEM audio systems have provided a fault detection function to check for any speaker faults or problems with connections. In these cases, if the speaker is disconnected from the source to connect the cables to a processor/amplifier input, the system marks a failure or, in the worst-case scenario, blocks the source. 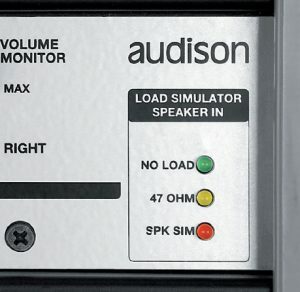 The Speaker Load Simulator function provides the flexibility to simulate different types of loads by connecting the speaker cables directly to the CMU Speaker-In inputs. The CMU will then check if the source is equipped with a fault detection system and, possibly, what type of diagnostic it performs. By selecting one of three available types of load (No Load, 47 ohm or Speaker Simulator), you can identify what type of dummy load must be connected in parallel to the processor/amplifier input. The CMU also incorporates a chassis mounted speaker that lets you hear the signal from a given input (pre-amplified, speaker, optical digital, etc.) or from the EMS (Electro Magnetic Sniffer). In the case of unwanted noise in the audio system, listening to the signal between various devices allows you to identify where the noise is generated.